An affordable way to guarantee there are no unexpected repair or replacement costs associated with your rental or lease instrument. Covers Instruments that are accidentally damaged. Need routine adjustments and maintenance. Need parts replaced from normal wear and tear. Free repair pickup and delivery to your school. Free loaner provided if available. Program available after your instrument is paid off. 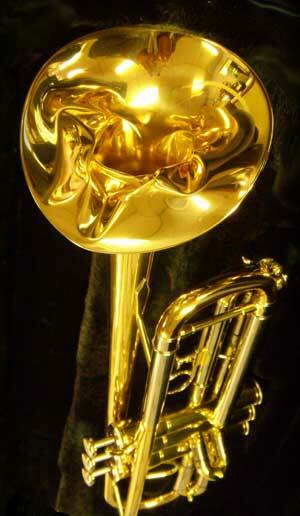 As long as we have one available, we will supply you with a free loaner while your instrument is in one of our shops. If you know your horn needs work before the next school year, it's best to bring it in at the end of the school year rather than right before school starts up again. Because of the very high volume of repairs in late August and early September, we occasionally deplete our pool of loaner instruments. Our educational consultants visit schools weekly during the school year. Instruments are picked up and delivered back free of charge nearly every week during the school year. Kids Do The Craziest Things! Any adjustments, alignment, pad and cork replacement, broken parts and pieces of any kind will be fixed or replaced, dents removed, tubes straightened, valve work, stuck mouthpiece removal, brace soldering or any other work that needs to be done in order to get the instrument in good playing condition as determined by one of our repair technicians. Routine cleaning that should be performed on a regular daily or weekly basis by the player. Any disposable accessories such as reeds, lubricants and cleaning products. Accessories that are not a permanent piece of the instrument, instrument stand (for percussion) or case. Case or instrument straps are not covered. Case handles ARE covered. Blemishes or cosmetic damage to the case or instrument is not covered. Drum sticks, mallets, drum heads and strings on all stringed instruments are not covered. Any instrument that is a total loss due to irreparable damage or theft so long as it's not attributed to willful misuse or abuse. Any instrument that meets this criteria will be replaced free of charge with a like instrument of equal age and value. Replacement of instruments is at the sole discretion of Rieman Music. Replacements are provided out of our rental pool and we reserve the right to substitute with comparable brands when necessary. While we will do our best, on occasion we have to substitue brands, all of which are band director approved. The rare instrument that was chewed to bits by the Rottweiler during a game of "fetch the clarinet." You get the idea. *Police report required on all claims involving stolen instruments. Instrument not covered for replacement if it has been purposely damaged or destroyed or been used in a purposely reckless manner.